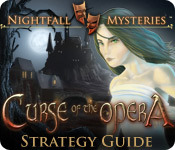 We've added a page for the macabre hidden object game Nightfall Mysteries: Curse of the Opera. The intriguing murder mystery and horror atmosphere is supported by beautifully illustrated fantasy artwork. 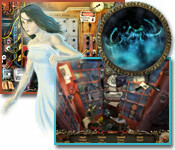 Even the puzzle boards eceive lavish attention and come off as works of art themselves, in macabre theme with the horror/murder mystery setting. Thank you for visiting our site and following this blog.